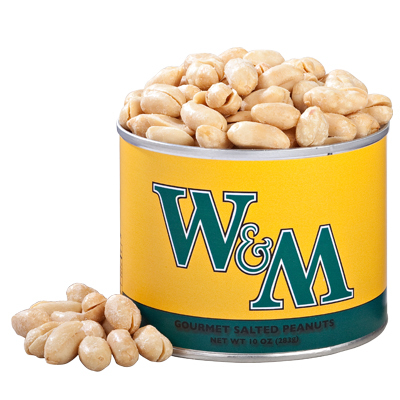 Introducing The College of William & Mary Nuts, for all Tribe fans! Our famous peanuts blistered and salted for delicious snacking. A perfect gift. Wonderful peanuts as usual. Sorry you took Vanderbilt off your list and wish you'd add UMW and Univ. of Lynchburg.